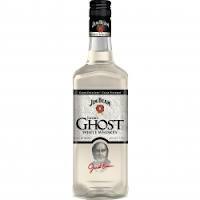 Jacob’s Ghost a throwback to 1790s product and similar to moonshine. The world’s largest bourbon producer is dipping into moonshining’s colorful past to create its own batches of white whiskey. Beam Inc.’s newest spirit is called Jacob’s Ghost in honor of Jacob Beam, founding distiller of its flagship Jim Beam brand. Jacob’s Ghost resembles the potent concoction that flowed from the pioneering whiskey-maker’s still in the 1790s or from a moonshiner’s still today. But this is no run-of-the-mill hooch brewed in the backwoods.